When the Affordable Care Act was introduced, many small agents and brokers looked into the abyss of more than 1,000 pages of regulations and gave up on selling health insurance. The compliance issues were too complicated, and the demand for individual health insurance was beyond the ability of their roster of insurers. Local clients also were concerned about impending changes and consulted Tulip City for information and guidance. “They didn’t understand the law at all. 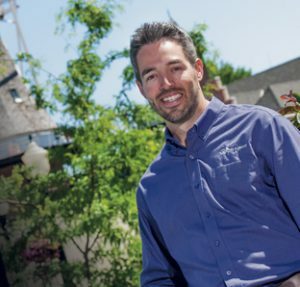 We saw that everything we did for our clients was going to become increasingly complex, and we needed to be ready to answer questions and guide our clients through the process,” Gosselink recalls. Pella is a town of about 10,000, located 40 miles southeast of Des Moines. The town motto is “A Touch of Holland,” and it is known for its beautiful tulips. 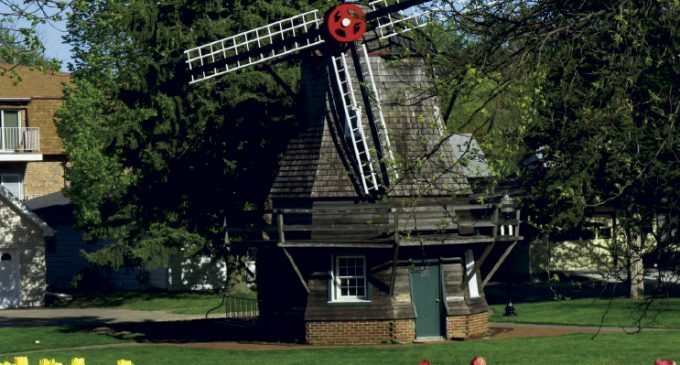 The Tulip Time festival is held each year and features a celebration of the town’s Dutch heritage, with museum tours, quilting exhibitions, and the area’s tulip gardens. Tulip City Agency was founded in 1968 to provide insurance for local farms and other rural businesses; it took the tulips as part of its name to represent its local connection. The agency expanded into additional commercial lines in the 1980s, and in 1991 Gosselink, who had life and health insurance training, joined the agency to develop the health insurance business and personal lines. 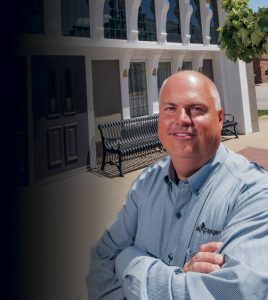 In 2005, Gosselink began buying into the agency ownership, and in 2006 he became an agency principal. From 1994 to 1998 the agency expanded its group benefits business, offering health, life, disability, and dental insurance. The agency also began to market individual health insurance, first by word of mouth and later supporting its offerings with an enhanced marketing and advertising program. The agency also offers personal life insurance and annuity products, including long-term care and individual disability. Gosselink notes that, as the employee benefits business grew, so did the firm’s property and casualty business, which includes personal and commercial property, general liability, commercial auto, inland marine, and bonds. The firm now has nine employees, including three who specialize in benefits and health insurance; and revenue from those lines accounts for 22% of what the agency takes in, up from 16% in 2010. The agency’s growth in property/casualty reflects a synergistic connection between the lines of business. Since 2010 the agency has grown 50%, Gosselink says, reflecting its growing reputation as trusted advisors. The arrival of ACA also created new demand for individual health insurance, as personal lines customers sought to buy the legally required coverage. In 2007, Nate Gallaher joined the agency to market individual health insurance and Medicare supplement coverage, and he became a leader in the energized individual marketplace. Gallaher, who also assists Gosselink with group coverage, says the individual market has changed dramatically since ACA, and has never stopped changing, as insurers drop out of the market and premiums increase. “In 2014, when the new laws went into effect, seven or eight carriers were active in the individual health market. Now there are only three, and premiums have increased dramatically—an average of 15% to 30% a year and, in some cases, as much as 50%,” Gallaher says. Coverage also has changed. “Gold plan” premium coverage has disappeared from the market, leaving customers with higher rates and fewer choices. Some customers also were disappointed by the inability to take advantage of promised tax credits, Gallaher says. “The tax guidance was unclear to many who thought they would be eligible for tax credits but actually were not. Gallaher hopes that a new health insurance environment will resolve cost issues, and he is committed to preparing clients for the next step. He is also gearing up for Medicare changes that will come in 2020, when Medicare supplement plans C and F will be eliminated for most people, forcing all participants to pay Part B deductibles. “Many of our individual customers are 65 or older and will be affected by the new rules, so we will need to develop an education plan to answer their questions,” he says. Molly Patterson, customer service representative for individual and group health insurance, has been with the agency for three years, and is responsible for managing applications for both group benefits and individual health products. After implementation of the ACA, compliance issues made customer service a critical component of health insurance administration; and managing the details of applications, claims, and policyholders became a key agency responsibility. The explosion of applications for individual health insurance available from various insurers and state exchanges has made the application process difficult for clients who have never applied for personal health insurance and may not understand all of the required information. Patterson also manages group benefits applications, most of which are still submitted on paper for the small employers of the region. The agency has started to automate, however, and is implementing a benefits administration system and an HR360 compliance library that will support larger employers. In 2015, the agency began to use Zywave benefits and data support products and services. Patterson also has experience in life and health insurance underwriting, human resources, and office management, and her diverse skills are important to the agency, Gosselink says. “Our role has changed, and the demand for compliance consulting has pulled us into human resources and workers compensation consulting, which have become intertwined,” he explains. 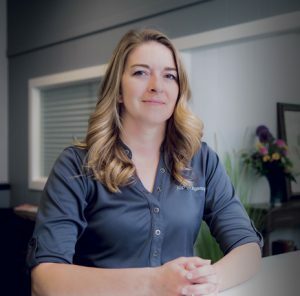 Human resources in particular has become an important field of service for many agencies, and “we can see the need developing in our customer base, so we are happy that we have the skills already on staff and are ready to meet the needs as they arise,” Gosselink adds. As the new presidential administration leads a legislative initiative to repeal and replace the ACA, will Tulip City continue to lead in employee benefits? Gosselink says the firm will stay on the cutting edge of benefits, regardless of any legislative changes.